The 28th annual Dr. Martin Luther King Jr. community celebration will feature a day of service and learning for Lawrence University students, culminating in a powerful message of action through unity from Dr. Eddie Moore, Jr. A leading expert on diversity and privilege, Moore is a dynamic speaker and educator who leads his audience in interactive, fun, challenging and informative presentations. The celebration will also include musical performances, readings from student essay contest winners, and the presentation of community awards. The celebration of Dr. King’s life and legacy will be held Monday, Jan. 21 at 6:30 p.m. in the Lawrence Memorial Chapel. The event is free and open to the public and will include a sign language interpreter. 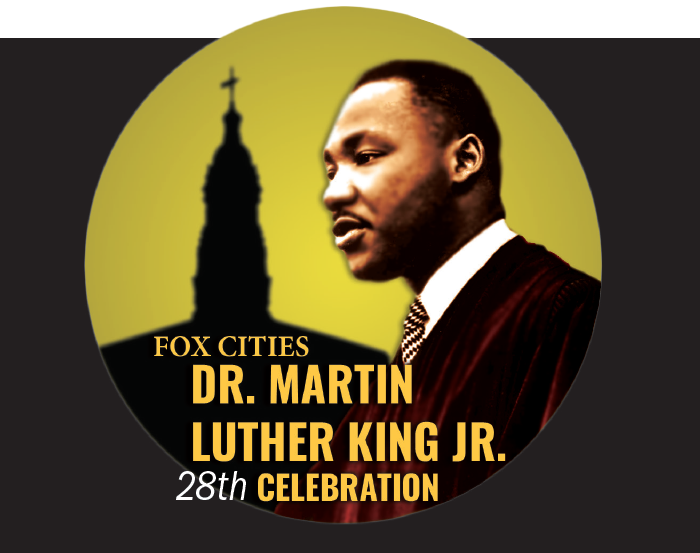 In addition to Dr. Moore’s presentation, Fox Cities community members will be presented with the 25th annual Jane LaChapelle McCarty Community Leader Award and the Dr. Martin Luther King, Jr. Educator Award. This year’s recipients will be honored at a reception immediately following the program in Shattuck Hall 163 on the Lawrence campus. The OxFam Hunger Banquet, sponsored by the LU Food Recovery Network, will kick off the day at 10:30 a.m. in the Warch Campus Center. The LU Food Recovery Network will lead an interactive hands-on activity highlighting the issues and laws that keep people trapped in poverty. At 1 p.m., students, faculty and staff have the opportunity to volunteer at community organizations throughout the Fox Cities including Feeding America, the Menasha and Fox Valley Boys and Girls Clubs, and Riverview Gardens. These student-led initiatives benefit the community and help Lawrentians solidify the value of service learning. Informal teach-in sessions, where faculty provide expert insights into community issues that impact equality for will take place across campus between 1 and 4 p.m. Topics include “Hunger and Health in a Wealthy Nation” and “The Global Climate Justice Movement,” among others. 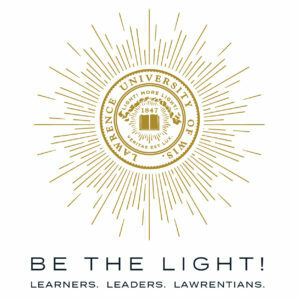 More information regarding the MLK, Jr. Day of Service can be found at http://www.lawrence.edu/students/volunteer/mlk. What is like to be a young Hmong woman in the U.S. today? An exhibition of work by two emerging Hmong artists, Victoria Kue and Tshab Her, addresses this complex question. Curated by Young Space founder Kate Mothes, In the Between opens January 11 in the Wriston Art Galleries at Lawrence University. The Appleton Public Library, The Draw, and Lawrence University will offer related community programming through the winter. The exhibition and events, free and open to the public, are funded in part by a grant from the Wisconsin Humanities Council—with funds from the National Endowment for the Humanities and the State of Wisconsin—and a grant from the Bright Idea Fund within the Community Foundation for the Fox Valley Region. Her, who lives in Chicago, creates work that reflects an effort to claim a space as a Hmong woman in Midwestern contemporary culture. Code switching between her traditional name, Tshab (pronounced “cha”), and Jennifer depending on the context, Her cleverly integrates traditional Hmong patterns into witty, reflective textile-based artworks. Kue, of Lancaster, Pa., examines the impact of traditional Hmong gender roles and how this aspect of her identity affects her relationships with others. Both artists will give talks on their artwork and practice as part of the exhibition programming. In addition to the opening reception on January 11, the Appleton Public Library will host a book club discussion of Kao Kalia Yang’s The Song Poet, a screening of the documentary Being Hmong Means Being Free, and a creative tween workshop with Tshab Her. There will also be a panel discussion on Hmong identity with the artists at the library on Jan. 12. Lawrence will host three free lunchtime tours of the exhibition, and there will be a closing reception for the exhibition and programs on March 1 at The Draw on South Lawe Street featuring a Storycatchers Live! event and Hmong food, music, and dancing. 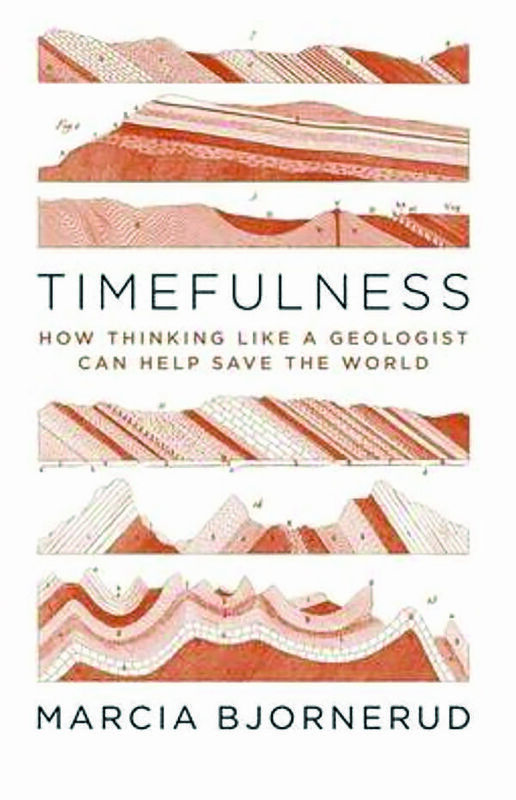 Bjornerud does just that in Timefulness, which reveals how knowing the rhythms of Earth’s deep past and conceiving of time as a geologist does can give us the perspective we need for a more sustainable future. As Bjornerud observes, “our everyday lives are shaped by processes that vastly predate us, and our habits will in turn have consequences that will outlast us by generations.” Timefulness presents a new way of thinking about our place in time, enabling us to make decisions on multigenerational timescales. In her elegant and engaging prose, Bjornerud peppers Timefulness with insights and anecdotes, sharing the deep knowledge and passion for geology she brings to her classrooms with her readers. Timefulness is also an example of the bonds students and faculty forge at Lawrence: Haley Hagerman ’14 provided the illustrations that appear throughout the book. Stay tuned! The finalists for the PEN Awards will be announced in January 2019. Read a Q&A with Marcia Bjornerud about Timefulness. 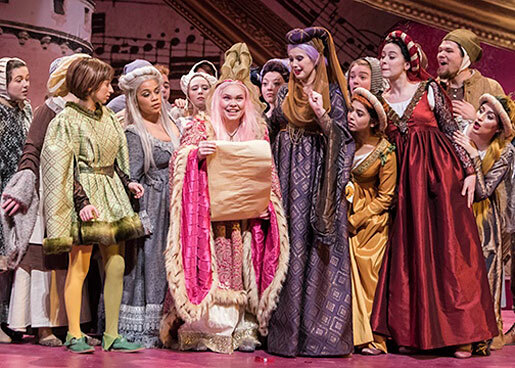 From Appleton to London to Hong Kong, Lawrence faculty and students used D-Term 2018 to explore ideas, art, research skills and the wider world. D-Term, or December Term, is a two-week mini-term that offers brief, intensive enrichment courses. This year, students had the opportunity to engage with questions of sustainability and historical resilience to disasters, bring a liberal arts perspective to wellness and sharpen practical skills in design and data analysis. Read more about this year’s D-Term classrooms, whether it’s a room in Main Hall, an urban garden in Hong Kong or the top of St. Paul’s Cathedral in London, through insights from faculty members. 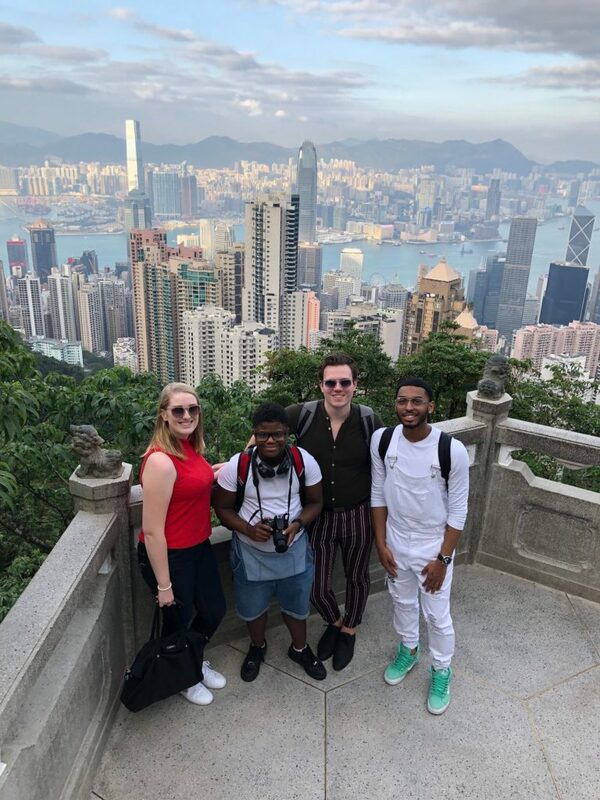 Students taking part in the D-Term trip to Hong Kong stand on Victoria Peak, overlooking the Hong Kong skyline. Day 1: The first day of the on-the-ground portion of our class on livability, sustainability and urban design in Hong Kong focused on the city’s history, British & Chinese influences and its emergence as a global trading and financial hub. We visited Chunking Mansions to engage with “low-end globalization” (a concept and case study from one of the books we discussed during our week of prep on campus), did a mapping activity with a scan of a vintage 1930 map of Kowloon, visited the Hong Kong Museum of History and hiked at Victoria Peak. We ended the day by having dinner at the Happy Valley Jockey Club with KK Tse (’81) and Wendy Lai. Day 2: We focused on the preservation of things like urban green space and historic buildings—the kind of things some cities have lost as they tried to build and grow quickly. We did a slow-looking activity in Kowloon Park (inspired by Freshman Studies), then compared it to wilder green space by hiking across the Wan Chai Gap trail to the reservoir on the south side of Hong Kong Island. Connected to a different class discussion, we also visited some preserved historic sites. They included a former army barracks in Kowloon Park, the 1912 Wan Chai Post Office (now the Environmental Resource Centre) and the international award-winning Blue House. Day 3: We kicked off with Rooftop Republic, a nonprofit that helps corporations and schools build rooftop farms. At this site, they grow on top of a shopping mall and donate the produce to local food banks. Then we met with Rick Kroos ’66, who was the engineer for the HSBC headquarters in Hong Kong’s financial district (as well as many other projects). Rick connected us with a wide range of other speakers, including Billy Wong, deputy head of research at the HK Trade Development Council; Anneliese Smilie from Redress, a nonprofit dedicated to reducing waste in Hong Kong’s garment industry; and Bernard Chang, an architect with the firm KPF. Day 4: We spent the morning with the staff of Department of City Planning to learn about the HK2030+ strategic vision. Overall, Hong Kong is focused on livability, sustainability and integration with the broader Pearl River Delta (Shenzhen, Guangzhou, Macau and other nearby cities in China). The students asked terrific (hard!) questions about how this plan intersects with climate change, affordable housing, green space, waste management, historic preservation and land reclamation. In the afternoon, we visited the new Kowloon terminal for the high-speed rail connection with mainland China, which is controversial in Hong Kong. Many people here see it as encroachment on Hong Kong’s autonomy, which is guaranteed under the Basic Law and One Country, Two Systems principle. You can view the full gallery of photos from Hong Kong here. 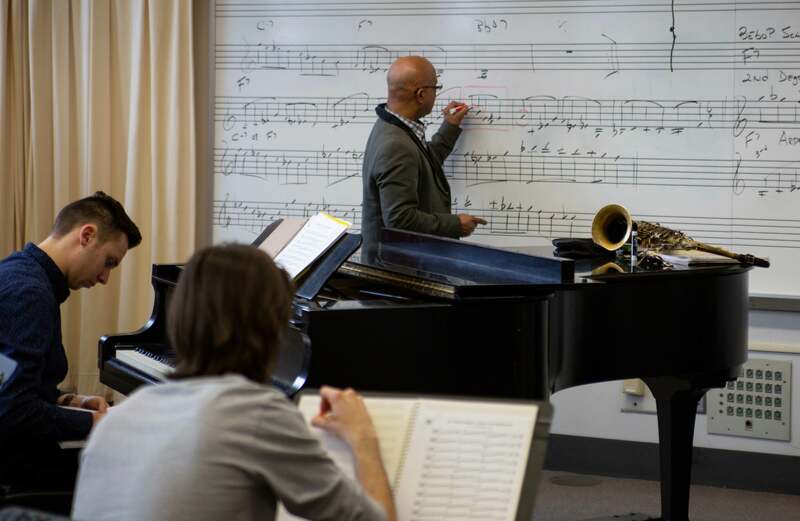 Director of Jazz Studies José Encarnación and students make musical notations. All instruments were welcome in this course exploring how to improvise using bebop language. Among the activities, students studied solo transcriptions of musicians like Charlie Parker, Dizzy Gillespie and Clifford Brown, and applied improvisational concepts. With an ever and constant changing world, I make my best efforts to keep our students current with contemporary musical forms and genres. Careful data analysis has become central to decision-making in areas from politics to sports to medicine. This D-Term course introduced students to collecting, cleaning and manipulating messy, real-world data with powerful programs R and Excel. 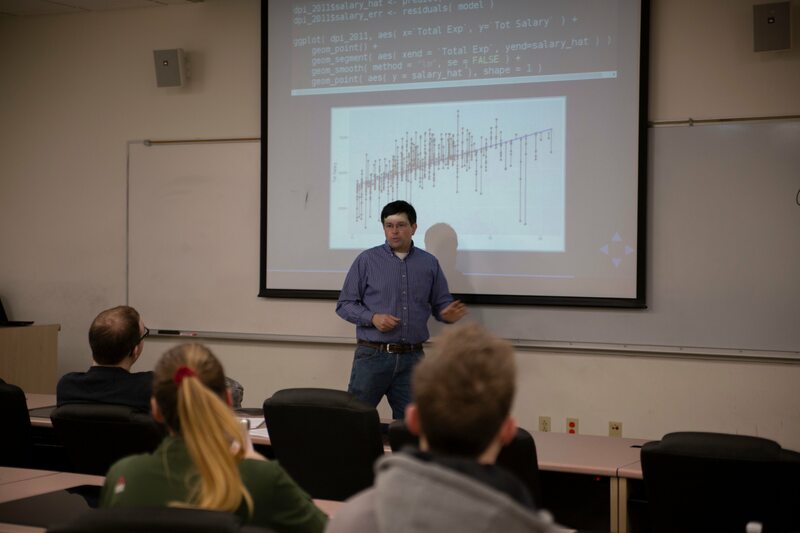 Arnold Shober explains how to manage and analyze data to students in his D-Term class. Professor Constance Kassor and students participate in a guided meditation exercise. This course took a liberal arts approach to meditation, tackling the question “What is happiness and how is it achieved?” by engaging with ideas of Buddhist philosophy of mind and investigating the ways in which they are being studied and employed by psychologists, neuroscientists and cognitive scientists. This D-Term offering is also an extension of Lawrence’s commitment to student wellness and the whole student. My hope is that students will come away from this course with tools to help them better deal with stress at Lawrence and beyond. 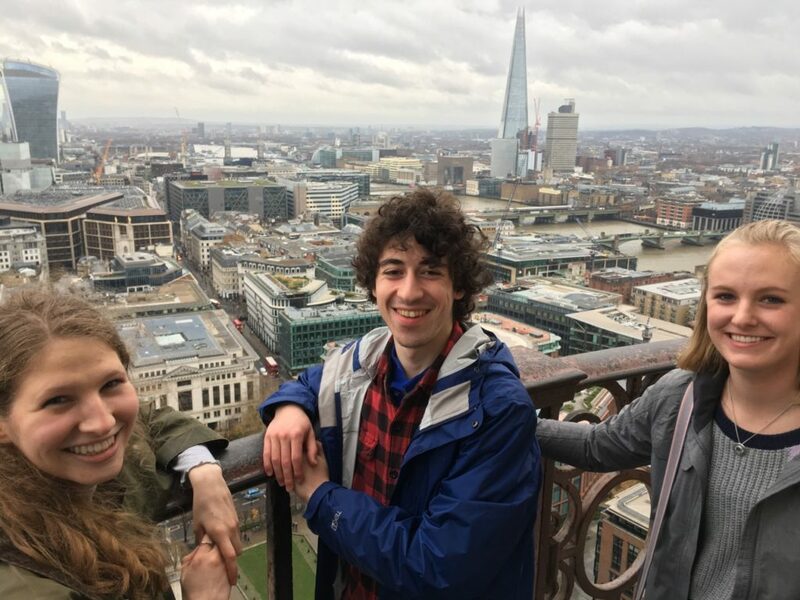 Students participating in the D-Term London study course stand atop St. Paul’s Cathedral. Between 1642 and 1666 London experienced war, plague and fire. This December, Lawrentians traveled to London to examine these catastrophes and explore how the city’s responses shaped the future of not merely London, but other cities across the globe. Students visited museums and historical sites and considered how London responded to crisis, commemorated it and confronted it again when German bombs fell during the twentieth century. 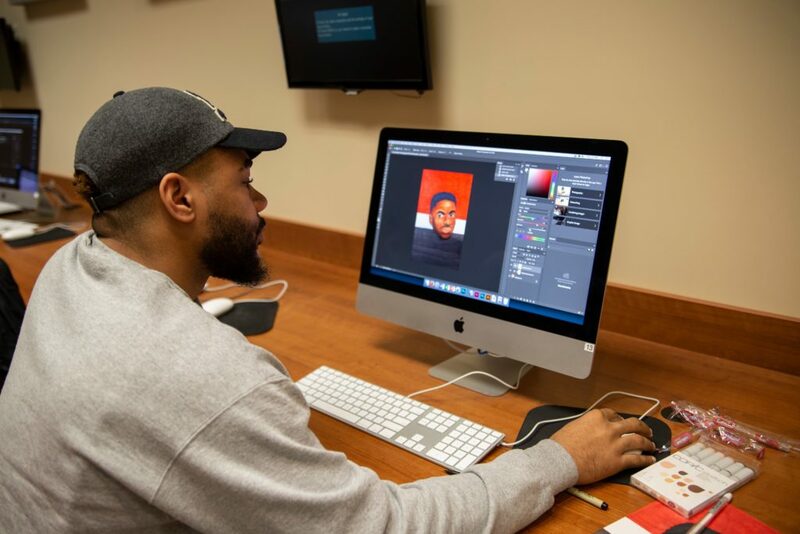 A student explores Photoshop during D-Term. From creating art to presenting data, knowledge of design principles and programs gives Lawrentians another tool to enhance their own work and offer a broad array of talents to prospective employers. The class is project-centered, allowing each student to explore the multifaceted and contemporary nature of each program. In just a couple of short weeks, students are exposed to methods in image construction, graphic design, typography and more. 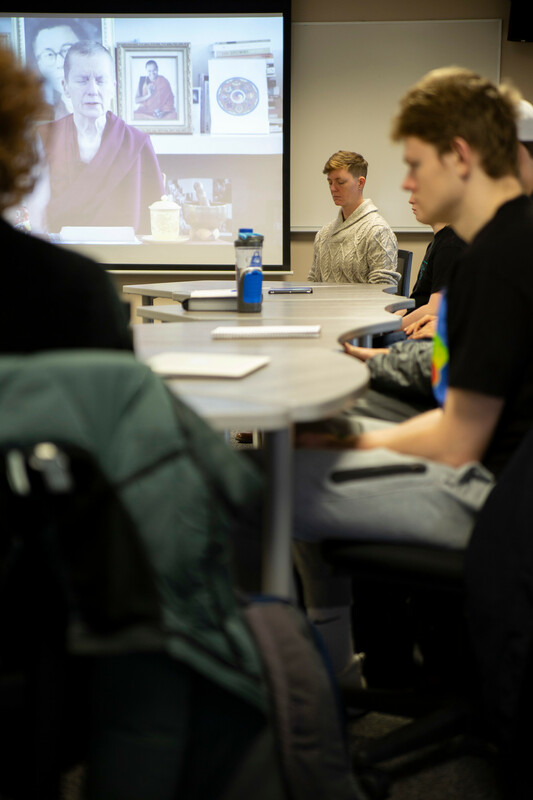 Students also visited the Lawrence University Office of Communications to speak with designers and see how these programs are used to advance an organization’s materials and mission. 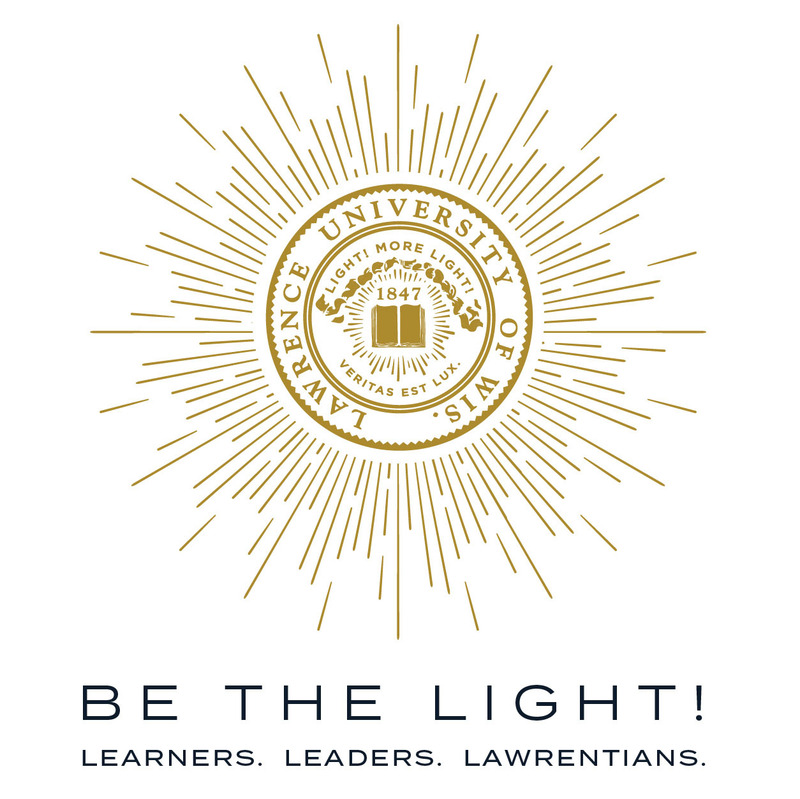 “For more than ten years Lawrence has focused on the overall well-being of our community. We value our employees and students as a whole person and are committed to providing preventative and comprehensive wellness programming,” said Director of Wellness and Recreation Erin Buenzli, who is spearheading Lawrence’s wellness initiatives. Lawrence was honored with a Gold Award in 2016, and the Platinum Award demonstrates its ongoing commitment and continued innovation in employee wellness. Lawrence’s wellness initiatives focus on key interventions: tobacco cessation, stress intervention, nutrition, and challenges to increase physical activity. “Our goal is to meet people where they are in their wellness journey by offering a variety of programs focused on the individual including our mind spa, massage program, personal training, and dietician,” continued Buenzli. “Lawrence University has clearly demonstrated their commitment to protect and enhance the health and well-being of their employees. 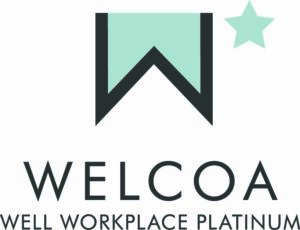 By meeting the comprehensive standards necessary to achieve the Platinum Well Workplace Award, Lawrence University is prioritizing the well-being of their employees as a foundation of their organization’s culture,” said Wellness Council of Wisconsin’s Executive Director Marissa Kalkman. 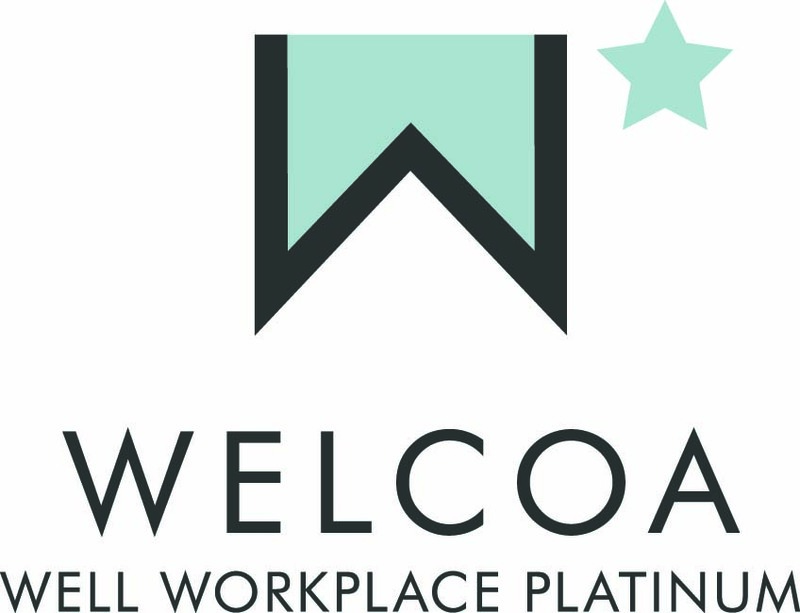 WELCOA’s Well Workplace awards, which recognize “America’s Healthiest Companies,” are based on criteria of the seven “Cs”: Capturing CEO support; Creating a cohesive wellness team; Collecting data to drive health efforts; Carefully crafting an operating plan; Choosing appropriate interventions; Creating a supportive environment; and Carefully evaluating outcomes. Lawrence will join other winners from around the region at the Fox Cities Well Workplace awards ceremony on November 13. An announcement regarding the status of the Fox Cities as a “Well City USA” will be made that evening. Achieving a Well City designation requires that 20 percent of a community’s entire working population must be employed by at least 20 Well Workplace award-winning organizations. Prof. Robert Yablon (Univeristy of Wisconsin Law School) will be at Lawrence University November 8 to discuss contemporary challenges to redistricting law, including Wisconsin’s own Gill v. Whitford. In his talk, “Partisan Gerrymandering: What Next?,” he will discuss both legal and partisan issues with drawing the lines that group voters into districts–and what that means for democratic representation. He is an expert in election law, federal courts, and campaign finance law. Yablon was a Rhodes Scholar at Oxford University and has clerked for both Justices Ruth Bader Ginsburg and Sonia Sotomayor. An engaging teacher, Prof. Yablon was honored with the Classroom Teacher of the Year award this year at University of Wisconsin Law School. Yablon’s visit is sponsored by the American Constitution Society and the Lawrence University Government Department. “American democracy is uniquely about rules and institutions, and nowhere is this more evident than in American elections. 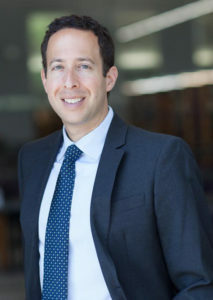 There is no roadmap in the Constitution for drawing the lines, but Prof. Yablon can show us the contours of where they might go,” said Prof. Arnold Shober, an associate professor of government. Prof. Yablon talk will be in Wriston Auditorium at 4:30 p.m., November 8. The event is free and open to the public; no tickets are required.